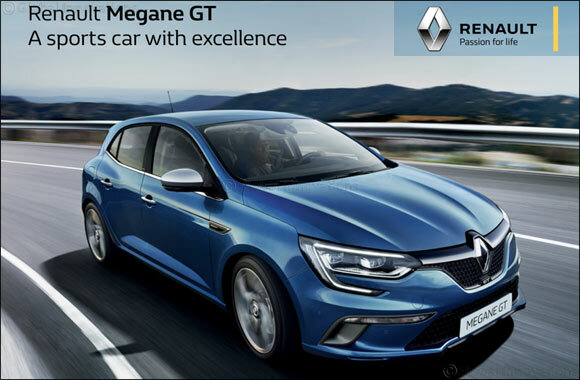 Drive off with the Renault Megane GT! Kuwait – 14 October 2018:- Abdulmohsen Abdulaziz Al Babtain Co., the authorized agent of Renault in the State of Kuwait invites its fans to visit the showroom situated in Al Rai and experience the sporty Megane GT. A recent member of the Megane family, tuned by Renault Sport, boasts a 1.6L and TCE 205 HP engine mated to 7 speed dual clutch automatic gearbox, achieving a swift 0-100km/h in just 7.1 seconds.